We believe in collaboration. Community Well is a center for individuals, families, holistic practitioners, educators and healers to connect with each other and create mutually supportive relationships. All our practitioners share resources at Community Well, common values and agree to follow certain guidelines. Contact practitioners directly or visit our Services & Classes page to find out when services are being offered. Schedule request or modification, click HERE! Send your new class/service description HERE! If you are interested in becoming a CW Practitioner, please click HERE! After you've been in touch with a CW representative, send your bio and class/service description HERE! Dr. Adrian facilitates healing and promotes health with people from all walks of life. He is particularly passionate about working with new and pregnant mamas to ensure that they have a healthy and peaceful process through birth and into motherhood. Adrian works relentlessly to provide them with an opportunity along with tools, strategies and a holistic perspective that helps them become empowered by their experience and gain clarity in times of transition. Adrian is certified in the Webster Technique by the International Chiropractic Pediatric Association. Adrian lives in San Francisco with his wife, Lena, and their son, Rio. Brent Johnson uses indigenous instruments from all over the world as his tools for healing, providing a space for immersion with vibrations, meditation, breath work, and prayer. Child & Family Therapy | (415) 857-5911 voicemail - please leave a message with your name & telephone number. Your call will be returned within 2 days (for new clients). Brigitte is a Licensed Clinical Social Worker who has provided therapeutic services to children and families in San Francisco for over 10yrs. Specializing in treatment for children ages birth through adolescence and their families, she uses a strengths based approach and believe the therapeutic relationship creates opportunities for change and healing. Through assessment of the child and family’s needs and concerns, Brigitte provides the child and family with support in learning how to understand and support the child's needs. She specializes in treating educational and learning difficulties, ADHD, anger management, anxiety, depression, divorce/separation, grief, immigration issues, trauma (PTSD) and social skills. To address these needs she uses an array of modalities to engage children & teens, including art therapy, play therapy, sand tray, somatics (mind/body awareness) and cognitive behavioral strategies. In addition, she best supports her clients by providing information, referral and linkage to services in schools, medical providers, specific therapeutic specialist and other relevant services. Brigitte is bilingual in English and Spanish and has served the Latino community in SF for the last 20yrs, having an extensive knowledge of resources and services in SF that serve children and families. She believes the therapeutic process can benefit people of all ages as it allows one the opportunity to get to know themselves in new ways and find ways to live with greater harmony and health. Brooke was introduced to the birth world in 2010 when they had the unique opportunity to attend births while apprenticing under a sage midwife in Northern California and knew immediately this was their life’s calling. They are passionate about supporting birthing people and their families through the transition to parenthood. Brooke offers evidence-based information about birth, giving clients a full scope of all the options so that they can make well-informed decisions that feel right for them and their family. Brooke believes people should birth where they feel comfortable, safe, and empowered and has supported clients birthing at home, in hospitals, and at birth centers. They believe in the wisdom and intuition of the human body and are honored to help safeguard the birthing process. As a birth and postpartum doula, Cherie is honored to work with families during the childbearing year to support them as they navigate their way through labor and the postpartum period in the way that best works for them. She believes in the childbirth process and trusts the body and choices of each birthing person and baby. Coming from a background in education, her goal for each client is to feel informed, respected, and safe as they enter this beautiful and sacred time. She brings calm and nurturing energy, provides information, listens actively, and helps to remind others of the love and trust that can be at the center of this journey. 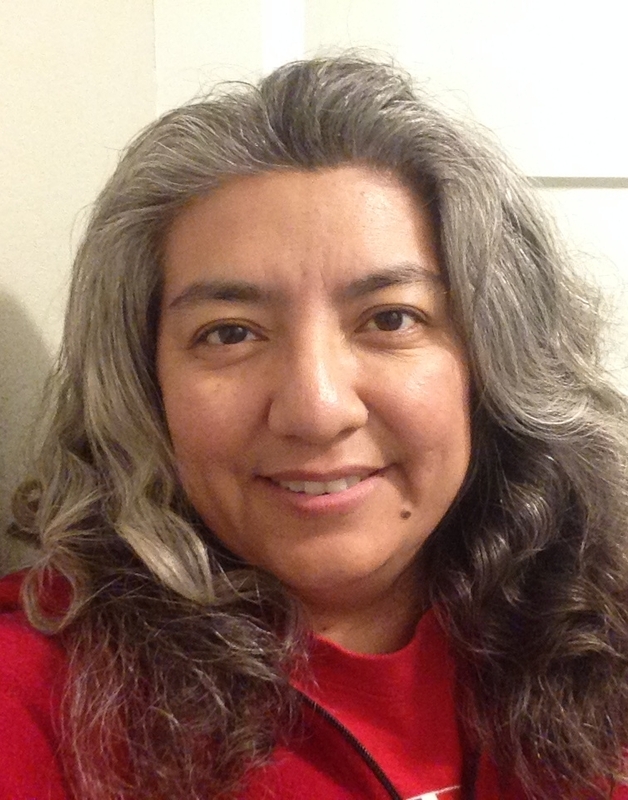 Evelyn Mejia is a bilingual and bi-cultural Licensed Marriage Family Therapist. She has been a practicing clinician for over six years and has worked in various community settings throughout San Francisco and San Mateo. She specializes in providing psychotherapy services and immigration evaluations. She works with youth, adults and families focusing on depression, anxiety, trauma, domestic violence, relational and immigration issues. She brings forth a wealth of both professional and personal knowledge, which she incorporates into her practice. Her approach is deeply relational; she believes that the therapeutic relationship should be a supportive, safe, nourishing and collaborative environment, in which her role is support her clients’ individual healing process. To aid clients, she incorporates elements from different therapeutic approaches such as attachment, narrative, mindfulness and cognitive-behavioral from which she pulls from as needed and as appropriate, as she understands that each client is unique, as is their healing. Evelyn was born in Guatemala and raised in San Francisco. She is a mother of three and what brings her joy is spending quality time with loved ones, music, traveling, baking, reading and learning. Jen begun as a doula in 2011 after experiencing her own loss, which led her interest to holistic approaches in maternal health and wellbeing. She soon learned what a doula was and never turned back! Jen believes whole heartedly in the body's innate wisdom and a mother's right to informed consent throughout her experience. Her love for birth, families and connection fuel her work and have helped her serve nearly 500 families in the Bay Area and internationally at home, birth centers and hospitals. Jen's formal studies include a Bachelor of Science in Public Health (SFSU), Certified Birth Doula (DONA), Certified Postpartum Doula (Cornerstone), Prenatal Yoga Teacher Training (Yoga Garden), Yoga Teacher Training in Ashtanga, and soon to be a Certified Professional Midwife (National College of Midwifery). She is currently offering birth doula services and placenta encapsulation. Jennifer is proud to have a practice that integrates two of her passions- Financial Education and Holistic Healing. She is a financial professional who helps individuals, families, & business owners to secure their financial futures. She also has an extensive background in the healing arts including: massage, aromatherapy, energy work, breathwork, & meditation. She feels very fortunate to have found a way to weave together her financial background, and her holistic arts background, to provide a unique service right here at Community Well. Dr. Lance has served the sports medicine field and elite athlete population as a Chiropractor, Certified Athletic Trainer, and Certified Strength & Conditioning Specialist for over a decade. He has traveled in this capacity and lectured on performance and chiropractic in thirteen countries since 2005, served multiple national teams, and has been on staff for teams who won world championship gold, Olympic silver, as well as college, high school, and youth sports. After working with the best of the best in the athletic realm, Dr. Lance decided to expand his focus to high performers in other aspects of life. He now specializes in helping high-paced young families with active children, adult athletes wanting to stay healthy, and corporate competitors whose focus and performance is critical. He lives in San Francisco with his wife, Monica, and his son, Levi. Since becoming a doula in 2016, Maya has had the honor of working with amazing families all over the Bay Area as they walk their own unique path to parenthood. She believes all parents deserve access to compassionate, evidence-based care both medical and holistic. Maya strives to empower people to connect with their baby and birth, advocate for themselves with informed choice, and prepare for the expansive possibilities that come with this life changing transition. With knowledge and understanding that everyone’s path is different, she offers unwavering support during pregnancy and labor, making space for your little ones to come into the world with love and respect. Maya is committed to normalizing non-gendered language within the birth community and is always looking for ways to make her practice more culturally competent, safe and accessible for all families. Whether you are seeking peace in challenging times, empowerment to manifest your dreams, or ways to live more joyfully, Rachel is honored to walk with you on your path of healing. Contact her at awakenedheartreiki.info@gmail.com to schedule an appointment. Serena Saeed Winn is a Nurse Midwife, Women’s Health Nurse Practitioner and Registered Nurse. Born and raised in the Bay Area she has served women and their families in San Francisco for over 15 years. Serena was a Doula for many years, then worked with clients in the nonprofit sector with the Homeless Prenatal Program. She has attended births as a midwife in many settings, including birth center, home and hospital birth. Most recently Serena was a full-scope midwife at the Women’s Center at St. Luke’s hospital where she served women through gynecological, prenatal and postpartum care as well delivering babies in the in-patient setting. Serena is the mother of 3 amazing girls including her lively twins. She is dedicated to serving women throughout their lifetimes and seeks to empower families through knowledge, support and trust in themselves. Suzannah provides birth support to ALL growing families in San Francisco . She fell passionate to photographing the birth experience in 2010 and continues to grow and learn every day. After attending many births, witnessing a wide range of transforming mamas, she has integrated doula work providing a full range of services. Her process involves connecting two to four times prenatally, getting to know her clients, adventuring out and photographing real moments, inserting her passion for essential oils and becoming a part of a POWer birth team. She follows with a postpartum visit within the first week of the born day, then stays connected for a long time after. She offers Birth Doula support for home births, Birth-Center and hospital births in San Francisco and occasionally in the East Bay/ Marin county. Suzannah holds a BFA in Photography & Painting from Temple University/Tyler School of Art, Birth Doula certification from Natural Resources and extensive experience with babies and families. She is a mom to two girls, both with interests in babies and photography. Someday they will be her helpers. Dr. Suellen is a Licensed Clinical Psychologist who has provided therapeutic services to children, adolescents, adults and families in Oakland, San Francisco and Philadelphia for over 10 years. Her approach is relational, attachment-based, developmentally informed and yet collaborative, creative and flexible to each person’s and family’s background and context. Rooted in the belief that the therapeutic relationship creates space for the individual and/or family to tap into their capacities for deeper connections, growth and healing, her sessions involve not only deep listening, but may involve play, expressive arts, and working with the sandtray. Sue is a bilingual organizational consultant, somatic coach and social justice therapist who has been working in the crossroads of social movements, community-based organizations and social services for over 20 years. With extensive community organizing and progressive social work experience in San Francisco’s Mission District and nearly 8 years of human rights work with urban and rural communities in Guatemala; she offers an in-depth multicultural, international and multi-disciplinary perspective. She has been training in somatics with generative somatics (www.generativesomatics.org) since 2009.